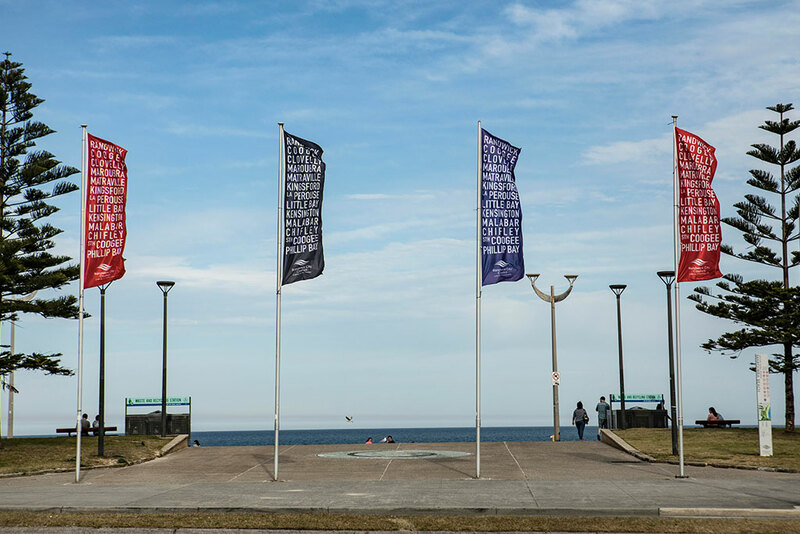 Randwick City's Street Banners are located along major transport corridors like Anzac Parade and Bunnerong Road and at our world-famous beaches: Coogee Beach, Maroubra Beach and Clovelly Beach. Interested businesses and organisations can hire street banners to market major arts, cultural activities and sporting events to an estimated 150,000 viewers daily. Street banners activate a town centre and provide a strong visual presence that no other marketing channel can compete with. Our beaches attract an estimated three million visitors each summer and 100,000 trips are made along Anzac Parade every day. Please note, applications to hire street banners are not confirmed until Council has sighted and approved final artwork. Please note: The above details are current as of 1 July 2018. The cost of your banner campaign depends on the number of zones you book. To hire banners in Zone 2 Clovelly Beach for 3 weeks would cost $996 (Hiring Charge x number of weeks), plus $216 (number of banners x cost per banner) for install and dismantling (+GST). Printing banner costs are in addition. Council can only accept banners from third parties which comply with the intentions of our Street Banner Policy PDF, 255.2 KB and Council's other adopted policies. Council reserves the right to decline requests for banner hire. Hirers are encouraged to discuss your campaign with Council's Communication staff early in the process.